I started writing Notes on My Family in 2015. I was at university, studying Creative Writing. I had always written but it wasn’t until I went to university that I began to take my writing more seriously. I knew I wanted to write a novel. I love children’s literature, teen fiction, and coming of age stories so writing from the perspective of a thirteen year-old girl seemed a perfect choice for me. My own teenage years were quite turbulent (whose weren’t?) and I felt having a young teenage protagonist would provide a lot of potential for humour, drama, and character growth over a short period of time. Thirteen is an interesting age. It’s a time of change and of firsts. Lou is socially awkward and isn’t fitting in well at school. Her parents are divorcing and her brother is struggling to come out. Despite all the important issues and milestones in Lou’s life, I knew I wanted the book to be funny and hopeful. 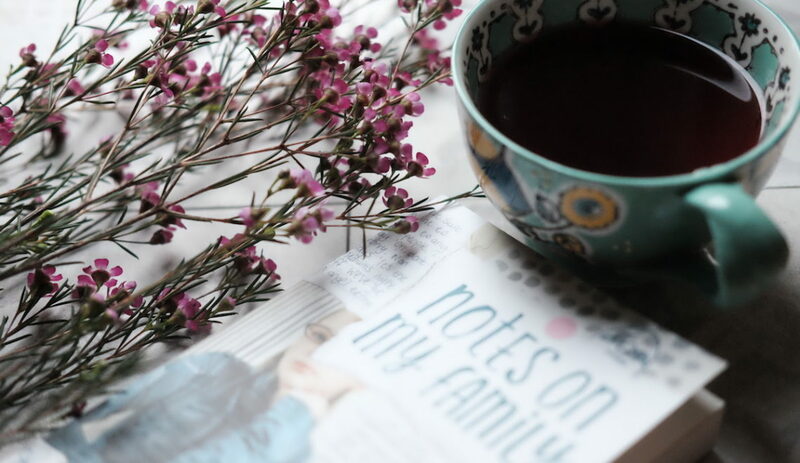 Notes on My Family is a novel about a very unique thirteen year-old girl trying to find her place in the world whilst having to contend with the horrors of secondary school and her highly dysfunctional family. When I began writing I had no idea if the book would ever reach an audience. My intention was simply to finish the first draft. I had made contact with my now agent, Chloe Seager, a year before when I submitted a different book to Diane Banks Associates. Chloe got in touch and asked if I was working on anything. She was building her list as a YA and children’s agent. The timing was perfect. I told her about Notes on My Family and, after a little re-drafting, showed her what I had so far. Chloe loved the book and offered representation. I’ll never forget travelling home from our meeting in Covent Garden, thrilled at being offered representation but terrified at the prospect of finishing the novel. Working with Chloe was amazing. I felt her passion for the book, for the world and characters I was creating and for the novel’s potential. She understood exactly what I was trying to achieve. Our meetings and discussions were insightful and inspiring and gave me the confidence to continue. Writing is a very solitary occupation and it was great to have someone cheering me on as I worked towards my goal. I finished the first draft and we then spent time working on structure in order to really strengthen the book before submission. We decided, for example, that Lou’s new friend Faith should appear earlier in the book. Faith becomes a very important part of Lou’s life as the novel progresses. Notes on My Family was published in 2017 by Everything With Words, an independent children’s publisher. Working with Everything With Words was a fantastic experience. As a debut author I had no idea what to expect. We edited and proofread and I saw early drafts of the cover (which I loved). There were so many special moments for me; seeing that first cover draft, holding my novel for the first time, walking into a bookshop and seeing it on the shelf, signing copies at the Young Adult Literature Convention last year and, of course, hearing from readers. Earlier this year Notes on My Family was long-listed for the 2018 Branford Boase Award. The feedback from readers and reviewers has been so encouraging. It’s great that people are connecting with Lou and her story, and I am finally able to call myself a published author!